In the politically connected Los Angeles Police Department, a retired cop who had a good reputation is murdered. Since the man's father was a retired captain on the force, the assistant chief wants Lt. Frank Duffy to put his best homicide detective on the case. Duffy tells him that his best man, Ash Levine, quit a year ago after a dispute when one of his witnesses was killed. He's told to get Levine back and assign him to the case as the primary investigator. Ash had been itchy to get back on the job. The old case where his witness was murdered, still bothers him and he wants to resolve the retired cop's killing so he could work on his former investigation. The author, Miles Corwin, has developed a very strong character in Levine. The character enjoys Chinese culture and food, has the proper dinner with his mother on Friday nights and is a man of strong principles. When Levine was age nineteen, he wanted to do something for his family heritage. He notes that he grew up in a home where he imagined listening to the screams of dozens of relatives killed by the Nazie's. As a result, he goes to Israel and joins the Israeli Defense Forces. The enjoyable story has him moving back to his job as if he never left. Duffy even saved his old badge. There is a good description of the welcome he gets or doesn't get from various members of the LAPD. He does things on his own, not knowing who to trust. He also backs up his words with a strong work ethic. In short, if there was a case the reader wanted to see solved, this is the kind of cop they would want to have working the case. Callie Roberts lives on the same street in a London suburb as her friend, Suzy. Both women have young children and share childcare duties. Callie's daughter, Rae, age five, has a heart condition and can't exert herself. Callie is a single mom who is unemployed at the start of the story. The other women in the neighborhood seem cold toward her and don't include Rae in any of their children's functions. Suzy's husband has a good job and Suzy often treats Callie to outings in London or has her over for dinner. When Callie's former boss offers her her old job back, she's overjoyed but hesitates to tell Suzy for fear that it might effect their friendship. Then, a new neighbor moves in, Debs Ridwell. She's a bit older and there's something in her past that she worries about. She gets a job at Rae's school as an art teacher. The author does a commendable job in describing these women and the nuances of their daily lives. They live lives where love and emotions are somewhat lacking and all of them seem unsecure in some way. We can see and empathize the feelings of little Rae who wants nothing more than to be included with the other children and feel the heartake for Callie when this doesn't happen. When Callie begins her job and has to rely on others to care for Rae after school, there is a premonition of some catastrophe that is to follow. It's as if Janet Leigh was going into the shower at the motel in Alfred Hitchcock's Psycho, the reader wants to shout some warning. I enjoyed the story and learning about these women. They were portrayed in a realistic manner that made the story interesting to read. In a timely novel with major companies going public, "Total Control" discusses the world of finances and corporate espionage. Jeffrey Archer is a highly regarded employe of Triton Global where his wife, Sidney,is a legal counsel. He's secretly looking for another job and books a flight to California. Before the plane left, Jeff switches flights and goes to Seattle. The plane that he was to take crashes, killing everyone aboard, includng Arthur Liberman, chairman of the Federal Reserve Board. As the FBI is called in to determine if the cause of the crash was sabotage, Jeff's wife, Sidney comes under investigation. Triton is a high tech company in the final step of bidding for CybeCom, which will bring the company great wealth. However, another high-tech company, RTG is alos in the bidding. They want to learn what Triton's bid is so they can beat it. When it is discovered that Jeff wasn't on the plae that crashed, he comes under more and more suspicion. He's not available to defend himself and Sidney comes under more and more scrutiny. It seems that most of her fellow employees have their eye on how much money they can make for themselves in this mega deal. When the FBI interviews members of the Federal Reserve, it adds to the authenticity of the story. Sidney seems to have only one person who thinks she isn't guilty and will that be enoughcompared to those who want to prevent certain information from going public? 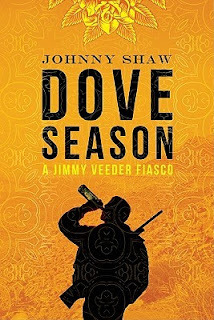 Good characters and a complex plot that entertained throughout. Robert Dugoni deals with the sensitive subjects of rebellious teenagers, parental relationships and the hold that drugs can have on a young person's life. After a session at the local courthouse, Jake Carter is scheduled to attend a substance abuse program. His step-father, successful attorney David Sloane, doesn't know how to reach Jake who has been impossible since his mother died. David's friend, Tom Molia, suggests Dave and Jake join him and his fourteen-year-old son, T.J. on a hiking and fishing vacation. David thinks that this might be a good way to keep Jake out of jail. They rent a room in Truluck, California. The first night, Jake and T.J. get caught after breaking into a local store and stealing liquor and a gun. The boys are caught and given a quick trial and sentenced to the Fresh Start Youth Training Facility. The town is owned by Victor Dillon and there seems that there is nothing the two lawmen can do to rescue their boys. The judge is like a character from the old west who controls the town. The police department is hired locally and is equally as uncooperative. The training program might be a good idea in general but the more the men find out about it, the more it sounds like a place were the guards are sadistic and abusive. The suspense mounts causing the reader to become totally involved in the story. We feel for the fathers and wonder what could be done by the two men who are against an entire town. Sloane is the kind of parent many of us wish we could be. He wants to protect his troubled step-son but how will he be able to succeed? 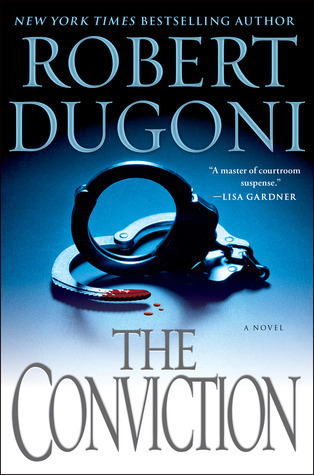 Dugoni is a professional story teller and this smoothly plotted mystery is a joy to read. 2. use above link and go to the amazon review and indicate the the review was helpful. 3. leave email address and indicate steps one and two are complete. "darkness cannot drown out darkness...only light can. Hate cannot drown out hate, only love can." Martin Luther King, Jr. In Aberdeen, Scotland, when one of the police officers working under Det. Logan MacRae is critically shot in a botched raid. MacRae is assigned to the 'Screw Up Squad.' He had success in past cases and has been praised in the media for it. However, one chief inspector has taken a dislike to him and will do anything to ruin MacRae's career. MacRae is assigned to work under Det. Inspector Steele, a wise cracking, heavy smoking woman who must have some information about the chief inspector because she doesn't take any criticism from him. Now Steele and Logan work together and their top priority is apprehending the person who is killing prostitutes. There is another supervisor who Logan is helping in hope of being reassigned. The main case that this supervisor is working on involves a series of arson fires resulting in deaths. As a character, Logan has compassion for the prostitutes and tries to help them. In particular, he's moved by a young Lithuanian girl named Kylie. 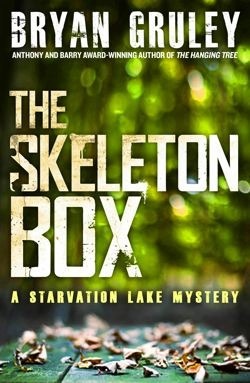 The novel succeeds with excellent dialogue, a humorous banter that is necessary for police authorities to relieve the horror of what they have to deal with, burned bodies and dismembered corpses. 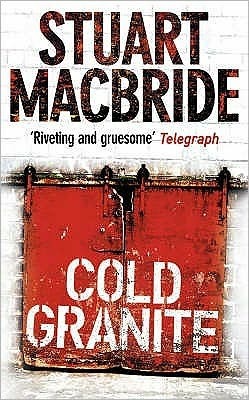 I enjoyed reading about MacRae, he's a good protagonist who isn't perfect. He's somewhat rambunctious and, at times, acts without realizing the implications of his actions. Yet, he's respected by the officers who work under his command and he's a successful criminal investigator - a regular cop who hates the politics that accompany his job. "Dark moon...tell me why...you've lost your splendor." Song lyrics. The story begins with a double cross. Two mobsters who work for Tony Celli meet with four Cambodians to collect a two million dollar ransom in return for return for a young Cambodian girl that they had kidnapped. The double cross backfires. The mobsters kill the Cambodians and are about to take the money when someone opens fire, killing them and taking the money. Now we are dealing with a triple cross with far-reaching consequences. Charlie "Bird" Parker, a former NYPD officer who left the job when his wife and daughter were murdered, now has his PI license. He does a favor for Rita Purdue. He finds her former husband, Billy, and gets him to pay some of the support and alimony that was due to Rita and their child. Unfortunately, some of the money Billy gave to Charlie was in new bills in the same denomination as was stolen a few days earlier. This sets forces against Billy. Tony Celli's gang, two independent killers and someone else now enter the picture, to seek out Billy, retrieve the money. The killing and torture that accompanies the search for Billy doesn't bother the searchers. Charlie is a moral man and had counted Billy as a friend, now wants to find Billy and warn him. 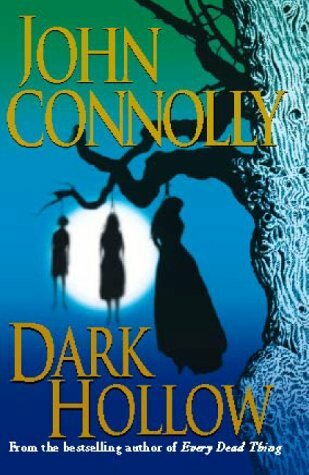 John Connolly seems influenced by the early work of Stephen King. His good characters are quite sympathetic and those who are evil are devilishly evil. We can imagine Charlie fighting against evil forces to save an innocent person. There is suspense throughout the story culminating nicely at the conclusion. There are a few surprises along the way. An entertaining read. This significant novel tells of a police investigation of a double homicide. The author provides perceptive characterization through introspection, monologue and flashbacks. Arvid Traneus is a ruthless, arrogant businessman who returns home to Sweden after spending years in the Tokyo region building assets for his company and himself. Shortly after his return, the maid discovers two dead bodies in the Traneus's home. The female victim was stabbed and the male was so disfigured that police had difficulty identifying him. Thinking that it must have been the woman's husband, officials are surprised when they learn that it was his cousin, Anders Traneus. The action takes place on the island of Gotland, located sixty miles off the southeastern coast of Sweden. It is an island where gossip is a part of life and many people take pride in knowing what their neighbors are doing. We also have families who multiply and remain on the island. One such family is the Traneus. Not only are their the cousins but older and younger generations who know all of the family secrets. During the course of the investigation we see the relationship of the members of the Gotland police department, their friendship, camaraderie and professionalism. 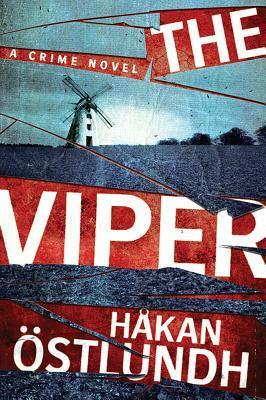 At the start of the novel, detective Fredrik Broman is helicoptered to the emergency room with a severe head wound. His friends and comrades wonder if he will recover. Through the course of the novel, the action moves back to the hospital where Fredrik's family and friends see him regain consciousness and hope for a full recovery. The island life, the exotic setting of an island off Sweden and the closeness of the characters all blend together to create a novel rich in psychological drama and intelligently written. Hakan Ostlundh is another Scandinavian writer whose skillful plotting places him as one of the best authors of police detective fiction. A man with no ties, Jimmy Veeder hadn't been home for twelve years. His father, Jack, kept his cancer to himself but now that he knew he didn't have much time left, he called Jimmy. Jimmy's home town Holtville is in southern California across from Mexicali on the Mexican border. It's a place in the desert where "...even the plants have a chip on their shoulders. :"
Holtville hasn't changed much in the years that Jimmy has been gone and neither has his best friend, Bobby Maves. When Jimmy greets Bobby and asks how he's been, Bobby's response, "I live in Holtville. How good could I be?" Jimmy's father has only one request, to find a prostitute named Yolanda who lives in Mexico. In this noir novel, the desert is also a character. Jimmy, his friend, Bobby and a boyhood friend Tomas work to find Yolanda. Tomas is an underworld figure in Mexico who claims to be an arranger, to help people cross the border, to find women for pornographic movies and whatever can earn him money. Yolanda is found and returns with Jimmy for a last visit with Jack. When Jack dies, peacefully, Yolanda is able to return for the service but something happens and the direction of the story changes. We learn more of Jack's earlier life and see a lonely man attempting to find happiness. Jimmy sees an old girlfriend and finds another reason to remain in Holtville but will he? I didn't know what to expect with this book but was pleasantly surprised. There is good characterization, humor is there as is a plot line that is well presented and provided me an unexpected pleasure. Starvation Lake is a small community in Michigan with many elderly residents. Monday night bingo is a main source of entertainment and gossip for this group. Someone has been breaking into the homes of some elderly residents on Monday nights. Up to now, they didn't seem to be taking anything. But now, Gus Carpenter, editor of the "Pilot," learns that his mother's home has been broken into. Her friend and neighbor, who was looking after her, has been killed. With small town politics, the sheriff is running for re-election and his challenger is using the break-ins and murder as a political tool. He claims that the sheriff isn't doing a good job and encourages people to vote for him. Gus's on again, off again, girlfriend, Darlene Esper is a sheriff's deputy and Gus thinks that if the sheriff isn't re-elected, Darlene would change job. The only clue about the home invader is the name of a former priest who had been at the local parish when a nun disappeared in 1944. After this comes out, some officials wonder if the Catholic Church could be behind the break-ins. Much of the novel's enjoyment comes from the narrative voice of Gus Carpenter. The author also has a talent for the use of dialogue and there are many scenes when the reader can visualize being right there in the action. There is an interesting sup-plot about the incidents about what was going on with the nun who disappeared and the priest. Beneath the central story is the fact that the town is heading toward a possible state hockey championship and one of the players becomes a pawn for a religious group. This is a well written, smoothly plotted mystery with good characterization and an interesting plot. 1. see above link and read Amazon review, following the review, indicate "YES" helpful. Det. Archie Sheridan is still recovering from his last encounter with serial killer Gretchen Lowell. He sleeps with his light on, takes Ambien to help sleep through the night and keeps a loaded gun in his desk. As the story begins, Archie is at Mount Tabor Park in Portland. He and his men are examining the body of Jack Kelly who was murdered, tied by his wrists to a tree and appeared to have been skinned from the neck down. His men are concerned about Archie and he admits that he is still weak. He was almost killed by Gretchen who is now at Oregon State Mental Hospital. Then, Archie gets a call relayed from Gretchen's doctor. She asks for Archie's help because someone is after her child. When Archie refuses to believe Gretchen's message, his friend, reporter Susan Ward goes to the hospital and Gretchen gives her a detailed interview on tape where she admits to a murder in her past. He return, Gretchen asks Susan to tell Archie that she needs to see him. Another body is found, suspense mounts. This time it is a woman who has been burned. While Archie and his unit investigate these murders, there is something in Gretchen's message about having an associate in her killings and mentions a name. Then she admits that the associate went renegade. The author writes an interesting story. The plot is a cat and mouse game in finding the killer before they can reach their intended victim. The characters are correctly portrayed and the author gives her reader information about Gretchen's past which helps us to understand her. Chelsea Cain is a superb entertainer. I thought that the conclusion was somewhat predictable but overall the story was clever and engrossing. Denis Johnson is an award winning poet and short story writer who studied under Raymond Carver at the Univeristy of Iowa. In "Train Dreams," Robert Grainier is a type of Everyman. His story begins in 1917 and through his eyes we observe many major events of his life and presenting us with the underside of his history. Through this, the reader can experience what certain events were like in the early part of last century. Grainier is there while the Spokane International Railway was building its lines. He assists when a number of men decide to attempt to throw a Chinaman off a bridge. The man's offense, stealing from the company store. The man makes his escape by jumping into the water below and while Grainier is walking home to his wife and infant daughter, he seems to see the Chinaman in many places. In one "...dancing up and out of the creek like a spider." We see flashbacks to Grainier's earlier life and picture the scene when he comes upon an injured man who asks that he give him some water and when he dies, to tell the sheriff the name of the man who robbed him and caused his death. As in many books dealing with the development of areas in the country, he describes returning to his home one summer after earning money while away. A fire was consuming an entire area, causing people to flee in every direction. What happens to his family has a profound effect on the rest of his life. others have gone through to get us all to where we are today. 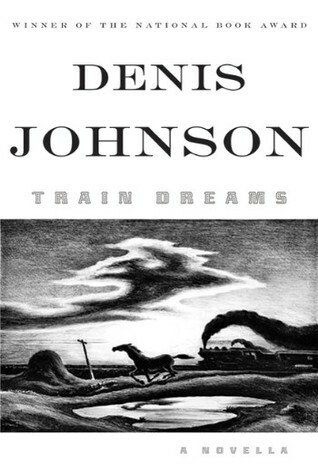 Amazon review of "Train Dreams"
1. Go to Amazon review and at the end of the review, indicate "yes" helpful. 3. leave email address and indicate steps one and two are completed. 5. Giveaway through June 15th. Granite City is in the vicinity of Aberdeen, Scotland. The story opens with the body of a three-year-old child being found. David Reid had been strangled and murdered. Since David had been missing for a time and was found to be dead for at least two months when his body was found, the police investigation was criticized for taking so long. < span="">. Sgt. Logan McRae is just back on the job after being stabbed by a criminal in his last case. He's the kind of man the police assign to cases that are delicate and need to be solved quickly. He's ordered to inform the Reid family about finding their child's body. When he does, he finds the family in distress at having been called by the press prior to their notification by the police. McRae is working for a controlling, authoritative supervisor. Det. Inspector Inch is a large, bald man who McRae thinks looks "...like a well-dressed Buddha. Only not so friendly." Inch also has a hobby of doing pantomine on the stage and encouraging members of his department to be sure to purchase their tickets. Another body is found. This time it's a five year old girl. She had been killed in a different manner and authorities were baffled because no one had reported the little girl missing. McRae is eminently believable and is the type of character that the reader comes to like and feel that if it were them, in that situation, that's how they would act. I look forward to more of the stories of Sgt. Logan McRae in the future. Malin Fors is a thirty-four-year old superintendent in the Linkoping, Sweden police department. She's alerted to attend the scene of a naked body of an obese man who had been tortured, murdered and then left hanging from a tree. Linkoping is a small town surrounded by plains and forests. In some respects it seems as though time had stood still for some of the residents who kept memories of the past alive. It is one of the coldest Februaries in memory with cars that refuse to start and people bundled in layers of clothes to stay warm. The victim, Bengt Andersson was a man who was ignored by most people and teased by others due to his weight. He lived in an area that Malin describes, that includes "...scared kids, teased kids, never go to school kids. Alcoholic's kids." The story is well told and unique in that we listen to segments from character's minds, even Bengt, telling things that he experienced in a manner that longed for a better world. His father was cruel and ended up in jail leaving his mother to care for him by taking in sewing. When his father's jail term was over, he seemed to resent Bengt and was abusive to him and to Bengt's mother. The police procedural follows the search for a possible motive and a killer. One thought was that this was a ritual killing in Midwinter's Blood where people were sacrificed to gods. The sadness of the unfortunate victim's life leaps from the pages. Unloved, with a cruel father, in and out of mental homes and killed for a reason the police have difficult in understanding. 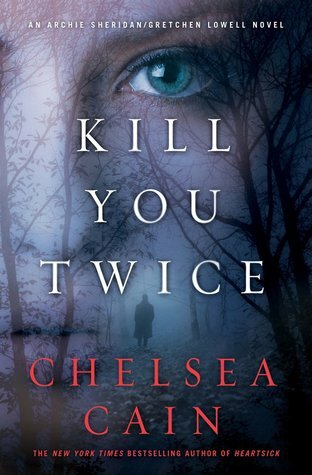 This psychological thriller will have the reader glued to the pages. 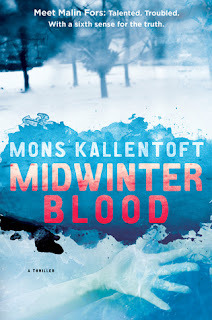 Malin Fors the kind of protagonist that the reader can enjoy. She has a teenage daughter that she is on good terms with and tends to work too long but her reason is to catch criminals and protect society. The writing is smooth and when we hear the thoughts of various characters, it gives the reader a deeper understanding of the characters.